The film was presented by David Bertrand. Writer, filmmaker, marketing professional, and a past Fantasia operations manager, Bertrand was in Uganda when he met the cast of the film. Ugandan films similar to 80s American action movies, inspired by globally iconic figures such as Bruce Lee and Chuck Norris. In Uganda, movies are viewed with a VJ (Video Joker) who comments on the film while it plays. After renting or buying a film, choosing your VJ is part of the process. Captain Alex is the first film to have an English speaking VJ. Through absurd kung-fu moves, gunfights and crazy destruction, the VJ makes hilarious commentary, the entire audience left crying of laughter. 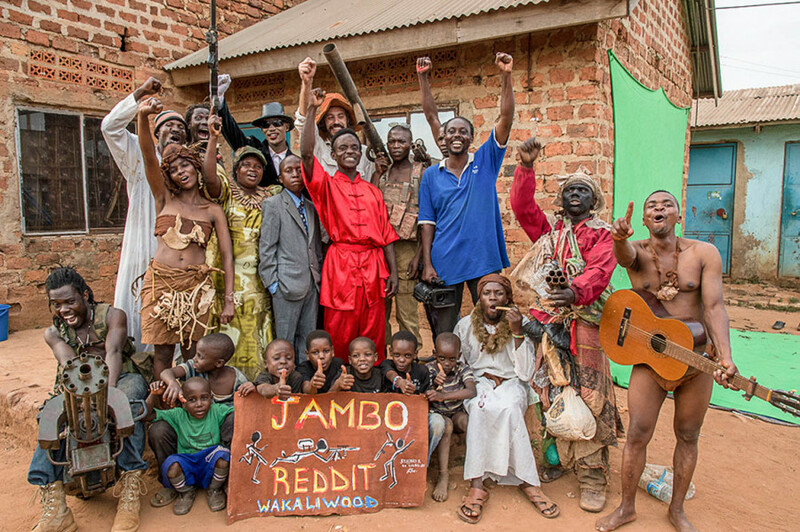 Wakaliwood, the action movie studio in Wakaliga, a ghetto in Kampala, is home to the Ramon Film Productions, which has released over 40 action-packed movies. “Expect the unexpectable! Wakaliwood, home to da best of da best movies!” is the tagline of the studio. Self-taught writer and director Nabwana IGG is the director, editor, cinematographer and producer behind Who Killed Captain Alex?, which was a viral sensation in the slums of Uganda. The film was made with less than $200, and real blood, taken from the local butcher. At Fantasia, the film screened at midnight and at 2 a.m., followed by a Q&A through Skype with the staff. Actor Bruce U showed his best moves and even asked children to demonstrate some kung-fu moves they had learned from his martial arts studio. Before the film, the audience was treated to trailers from Ramon Film Productions, VJs and all. “Auntie on da move” is definitely the best line, when an aunt tries to find her kidnapped niece while people are shooting at each other. With films like, Who Killed Captain Alex? having sold out, and Ojuju featured in the Fantasia Underground category, here’s hoping we see more films from the African continent in future editions of Fantasia.